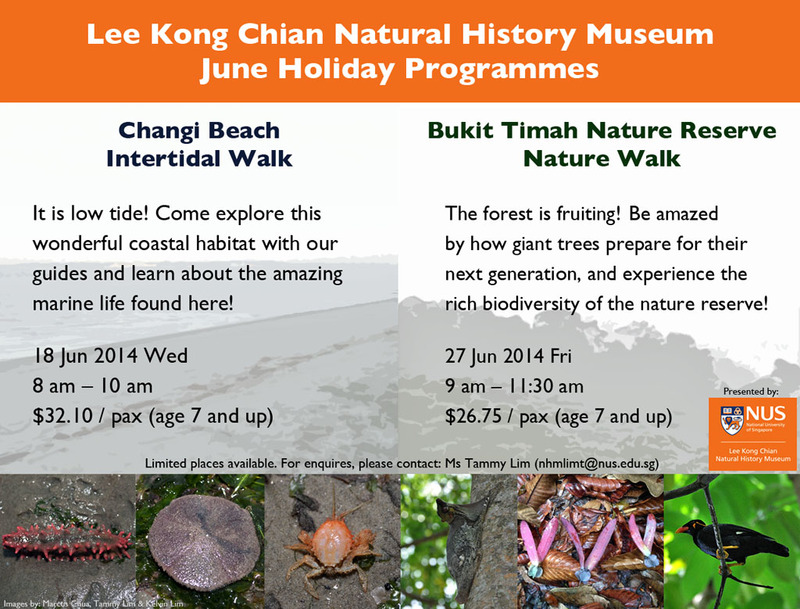 Want some nature and biodiversity-related activities this June holiday? Join us for our June holiday programmes at Changi Beach and Bukit Timah Nature Reserve to learn more about our rich biodiversity in Singapore! Limited places are available. For enquiries, please contact: Ms Tammy Lim (nhmlimt@nus.edu.sg).